Is Beet Juice the New Sports Drink of Choice? Growing up in the swimming world we hear about all the best ways to prepare ourselves for practice. Back in the day it started with stretching before workout, then using sports drinks too, and now pre-workout tends to be people’s route to the best practice. However, could vegetable juice be the next big thing? It appears so. In particular, beet juice is on the rise as the new “pre-workout” drink that can best prepare swimmers and endurance athletes for practice. Most vegetables, especially beets, have incredibly high levels of nitrate. So what’s the importance of this? When you eat food with high nitrate content, it aids your body in producing more nitric oxide, which helps to open your blood vessels prior to and during practice. This then results in more oxygen flow through your body. With more oxygen flow through your body during workouts, this helps your muscles feel stronger for longer, which means it takes you more time to feel the effect of exhaustion. This can allow you to train harder and more efficiently for a longer period of time. Unlike many pre-workout supplements that can consist of high caffeine content, beet juice is completely natural. Everyone has his or her preferences, but by replacing pre-workout with beet juice, you can decrease your caffeine intake, taking pressure off your heart during workout. Not only can this decrease caffeine intake, but beet juice will also help to increase your overall health while improving your swimming career. Clearly people have many different preferences for how they prepare their bodies for practice, and beet juice is just one of the new trends for a “pre-workout” drink. However, many swimmers and coaches have talked about the physical changes they feel or see among swimmers that use it. Members of the Duke swim team used beet juice during the past season and felt as though they were able to push themselves farther for longer during practice, which helped at the end of the season. 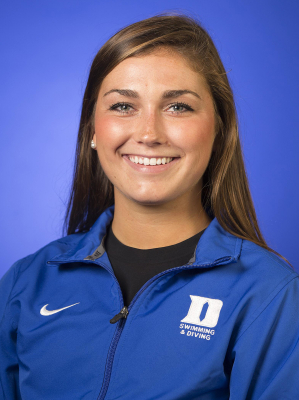 “When I take beet juice before practice I don’t necessarily feel an immediate boost of energy, but I feel like I am able to maintain a much higher level of energy throughout the workout,’ said Liza Bragg a rising senior on the Duke swim team. As a new fad, there are many ways to consumer your beets, whether that is naturally raw through your diet, or with juice or a mix. Research is taking place to see whether raw juice or powder might show more benefits than the other, but both currently demonstrate the effects mentioned above. Although some of us might be opposed to the idea of beet juice, there are other ways to consume foods that are high in nitrate content such as arugula, spinach, lettuce and radishes. Consuming these foods a couple hours prior to your workout can result in similar effects. Beet juice is not the magic drink that will win you first place at your next big meet. However, if you are looking to improve your training, which in turn can improve your performances, it does not hurt to try it! Try it out; play with what works for you and train hard! A little beet juice a day may eventually keep your competition away.